Christian Pulisic has set a host of records for club and country in his breakthrough season. 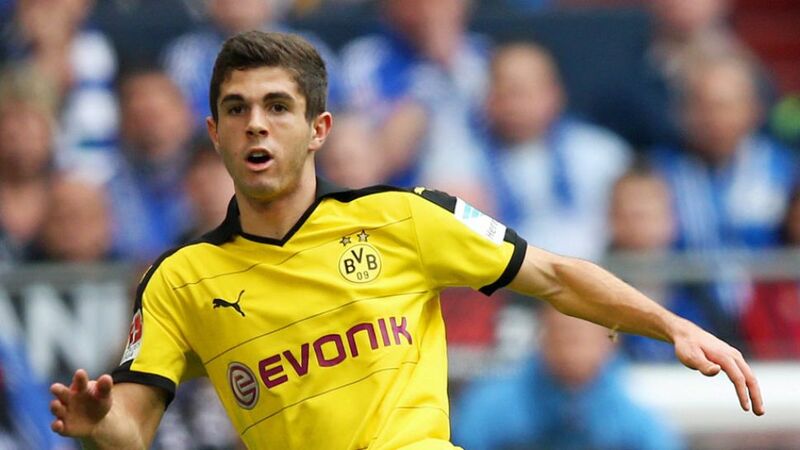 USMNT sensation Christian Pulisic has called his own rise to prominence with Borussia Dortmund "incredible" but still wants fans to be "patient" as expections sky-rocket on both sides of the Atlantic. He became the fourth-youngest Bundesliga goalscorer of all time when he set Dortmund on the road to victory over Hamburger SV on Matchday 30. The following week, he earned himself his very own chapter in German top-flight folklore by doubling his career tally against VfB Stuttgart, becoming the youngest player ever to do so. "It's been incredible," Pulisic told FourFourTwo magazine. "I started off just a kid who wanted to live his dream in Europe. I was seen by such a big club and started off in their youth ranks, and then to get first-team minutes and even score a few goals, it's not something even I expected, but I think I earned it." His displays - mature beyond his tender years - for his club have raised hopes Pulisic could play a major role in the USA's Copa America Centenario push on home soil. Coach Jürgen Klinsmann has included the BVB midfielder in his tournament squad following his record-breaking debut for his national side in March when he became the youngest player to represent the USA in a World Cup qualifier. "I see all the things that people write and they put a lot of expectation on me. I just try to put it aside, not read into it and become the best player I can be. I'm very thankful for the chance to put the US crest on and just to play. It's amazing," Pulisic, who now has two caps, explained. "Since I started with the pros in January, everything has moved so fast. The only thing I can say to fans and people out there who have such high expectations for me is just give me time and let me be a human being. I don't want to be just some 17-year-old kid who is only known for being some prodigy at soccer. It's too much. I'm just like anyone else. I want to live a normal life. I want to be respected as a nice kid who people know and not just because of soccer. I'm doing the best I can and I'm working towards my dream, but people just have to be patient."